Bedford County (pop. 49,762) is east of Somerset County. 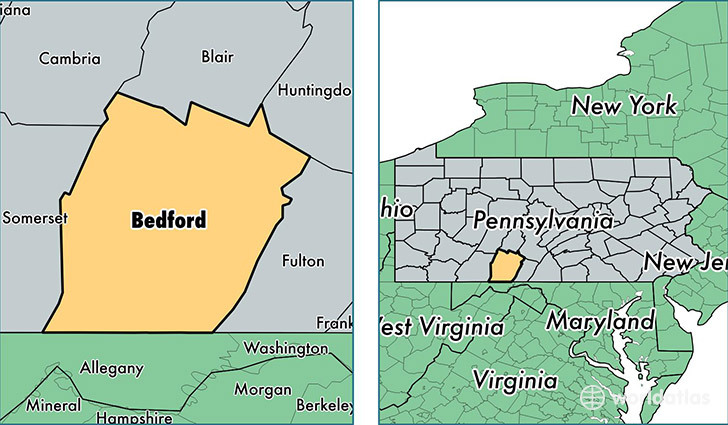 The only other Bedford counties are in Tennessee and Virginia. The county sat of Bedford County is the borough of Bedford (pop. 2,841). The Bedford Springs Resort, in Bedford, dates from 1806. 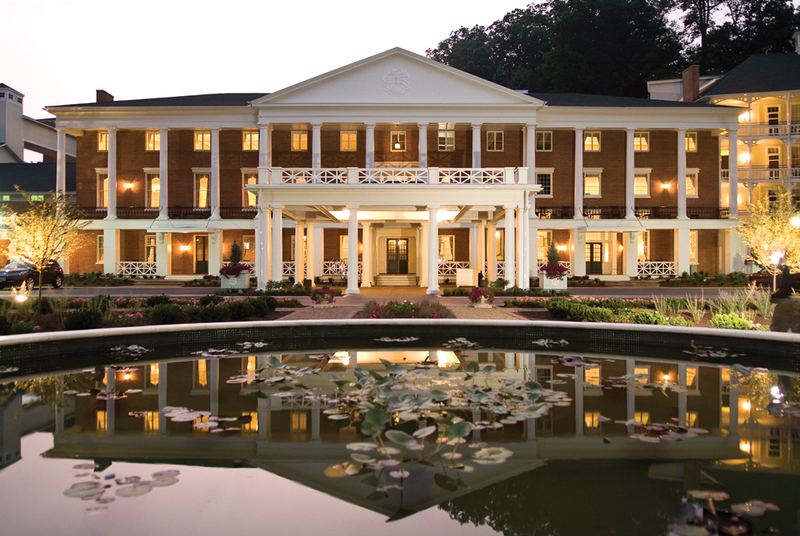 It’s one of the few remaining 19th-century resort hotels that were built around mineral springs. 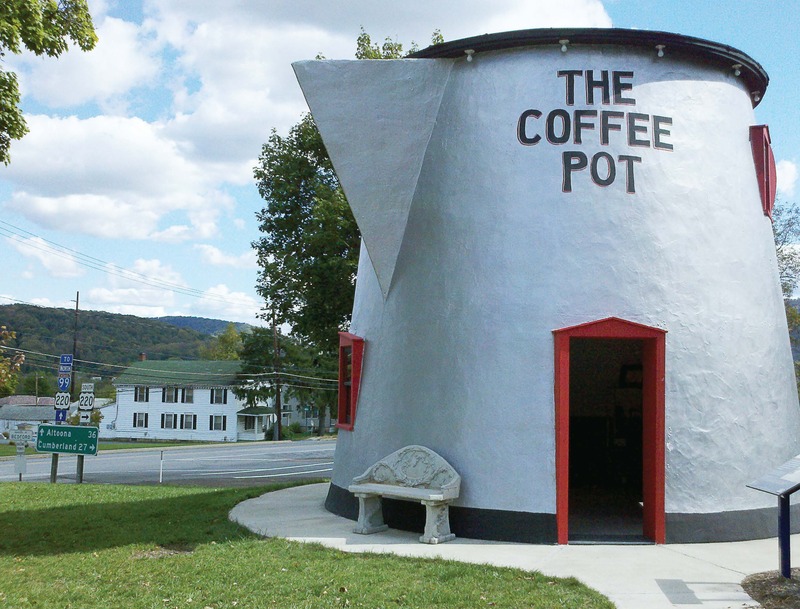 Bedford has a building shaped like a coffee pot, built in 1927 as a restaurant and gas station. The community of New Paris (pop. 186) has a “Gravity Hill,” where cars seem to roll uphill. The community of Artemas is the home of the Roadkill Cafe. The borough of Manns Choice (pop. 300) got its name in 1848. Congressman Job Mann wanted a post office in an unnamed village, and he was supposed to name it – but postal maps were made with the temporary name “Mann’s Choice,” and then were never changed. Bedford County is known for its 15 historic covered bridges. Blue Knob (elev. 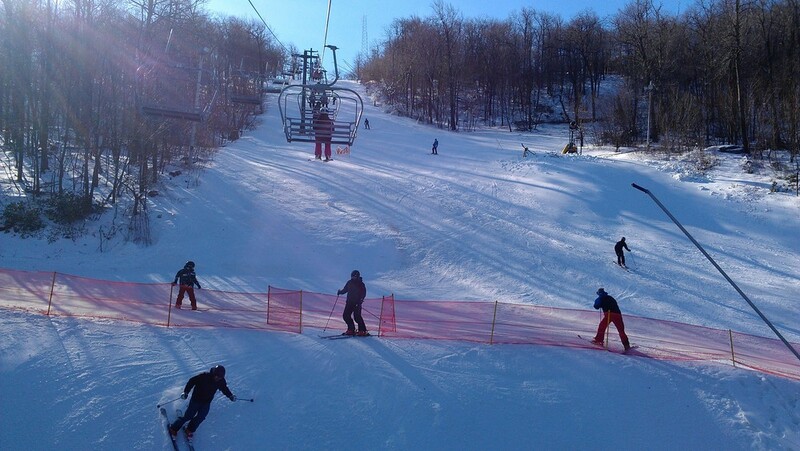 3,120 feet), highest point in Bedford County, is the site of Blue Knob State Park and the Blue Knob ski area. This entry was posted in Pennsylvania and tagged Bedford Springs, Blue Knob, Manns Choice, Roadkill Cafe.